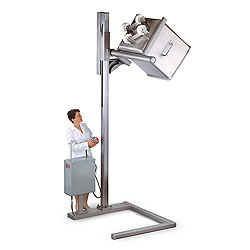 The Lift-n-dump is designed for Vemag dump buggies and similar containers. This unit is fixed to the floor and has a pre-set pouring height. Roll buggy into lift, lock in place, lift, and pour forward into hopper. Just tell us the height of your hopper. Give us height to pour - pre-set pouring path for perfect dump everytime.